There was once a time when just very few people considered disc jockeying as a profitable career one could go into. That is no longer the story today again as lots of young people have become so interested in this industry as there are now many successful DJs in South Africa. In this post, we take a look at the top 10 richest DJs in South Africa and their net worth. The richest DJs are Black Coffee and DJ Tira with a net worth of over a million dollars. 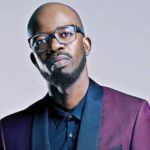 Black Coffee whose real name is Nkosinathi Innocent Maphumulo is a popular South African DJ that was born in Durban in the year 1976. Black Coffee engages in a lot of activities which includes blending his skills as an entrepreneur, singer, DJ and record producer. He has been regarded as the most popular DJ both in not just South Africa but also across the entire African continent. The popular entertainer is currently associated with record label Soulistic Music and since 1994, he has remained an active superstar in South Africa’s entertainment industry. Black Coffee has received so many numerous awards such as SAMA Best Male Artist (2010), SAMA Best Urban Dance Album (2005) and Metro FM Award for Best Produced Album (2010) amongst others. Mthokozi Khathi who is popularly known by his stage name DJ Tira is a South African DJ, record producer, and a Durban kwaito artist. He was born in the South African region of KwaZulu-Natal in the year 1976. He is a graduate of the University of Natal where he studied Human Resources. 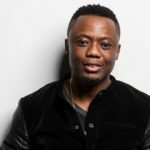 DJ Tira has made his mark with Afrotainment –the events company he owns and runs. DJ Tira has a number of high-selling mixtapes and albums in his gallery. He also has so many numerous awards. Themba Mbongeni Nkosi who is popularly known by his stage name DJ Euphonik was born in 1983 in the South African region of Mpumalanga. He is best known for engaging in lots of activities such as a radio presenter, music producer, and DJ. The SA DJ is most acclaimed for his “Cool and Deadly’’ which was released in 2013 featuring Nyanda and DJ Fresh. His 2013 release “Cool and Deadly’’ was named as the best on the 5FM list of Top 40 songs. DJ Euphonik has received several awards including Best Compilation Album which is an award segment under Metro FM Music Awards. DJ Oskido whose real and full name is Oscar Bonginkosi Mdlongwa, is a top South African DJ who was given birth to in 1967in Brits which is North West of South Africa. He is loved for his genres which encompass house music, Afropop, and Kwaito. He is a recording artist, DJ, record producer, and businessman. He has achieved a lot in the South African entertainment industry and is known for being a founding member of Kalawa Jazmee Records. Ashley Raphala who is popularly known as DJ Shimza is also a great personality in South Africa’s entertainment industry. He was born in 1984 in Tembisa, Gauteng a province in South Africa. He has started a number of great and inspiring works but he is most acclaimed for his first album launched in 2005 titled Shimizu. DJ Shimza is one of South Africa’s richest DJs ranking fifth on our list and he also has a large fan base on social media. He has staged performances with several other top South African DJs such as Black Coffee. 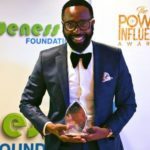 Sibusiso Leope, also known as DJ Sbu was born on the 28th of May 1977 in Tembisa, South Africa. He is a successful South African DJ and Kwaito artist who is also the founder of TS Records. He also founded MoFaya an energy drink which has been doing the rounds for the past 2 years. The popular DJ has a Porsche in his car collection and at some point stayed in a R50,000 per month townhouse. DJ Fresh whose real name is Thato Sikwane is a radio DJ, Music producer, entrepreneur and radio and television producer who is popularly known as a host on Metro FM. Sikwane was born and raised in Botswana on the 15th of October 1972. He is not just a DJ but also a Music producer, entrepreneur, and radio producer and television producer. Fresh has released 32 albums to date and has worked on many tv shows and owns companies of his own. Born Nate Raubenheimer but known by his stage name Protoculture is a renowned South African DJ and musician. He was born in Cape Town, South Africa. He is a university graduate and degree holder in Sound Engineering. He ranks 8th on our list of richest DJs in South Africa. Protoculture has throughout his career produced lots of several albums and quite a few mixtapes. Born Culolethu Zulu, Culoe De Song is a 27-year-old South African and native of KwaZulu Natal. He rose to prominence in the year 2007 and has ever since maintained his reputation as a remarkable DJ and record producer. Culoe De Song launched his debut album titled “A Giant Leap” in 2009. He has followed this his initial album with several other albums which include Elevation (in 2011). His third album which he titled Exodus earned him The Best Male Artist as an award segment under 2014 Metro FM Awards. Mark Stent is a talented South African DJ, remixer, producer who has had a passion for entertainment since his teenage years. Because of his passion towards music, he attended Johannesburg-based Azzurri Lounge where he served as an apprentice acquiring music skills. Tagged as “World’s Strongest DJ’’ by some people, Mark Stent has made his mark with excellent performances in places such as Casablanca and Chicago.